Like every month, the team of Pylon Network team does not rest. 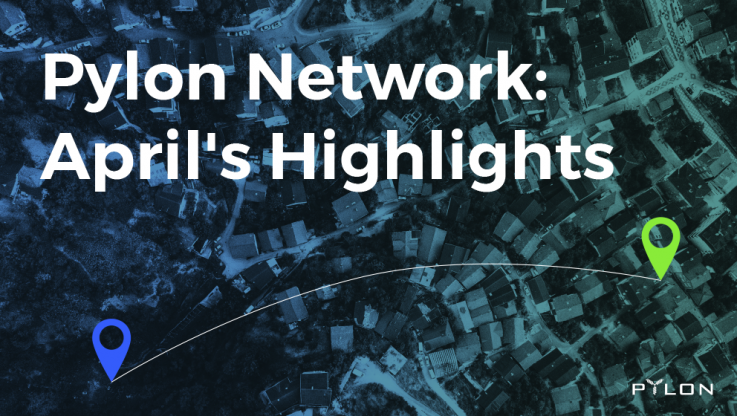 And in order to not miss any of the developments of the project, we offer you a flash-back of highlights for April, through our publications. Once again, we spread the word for Pylon Network, across Europe: Spain, Germany, France and N. Ireland! Learn more about the events: Event assistance, Event Horizon, Energy Cities, Nirig. Very excited to release the real-time energy traceability feature of Pylon Network’s open-source blockchain code, designed for the needs of the energy sector. Interested to know more about what we took home form our Pylon Network journeys? This was a short summary of last months’ activities – hope you enjoyed! The team continues with the development of the code and the platform as part of the demonstration stage and some exciting news are expected to be part of next month’s summary! So, if you want to make sure that you stay updated on the developments of the project, do not forget to subscribe to our monthly newsletter through our website. We also have many social accounts where you can follow us – see below.